East Hampton and Southampton towns will provide shuttles between the train stations and popular workplaces, hoping to alleviate road congestion. 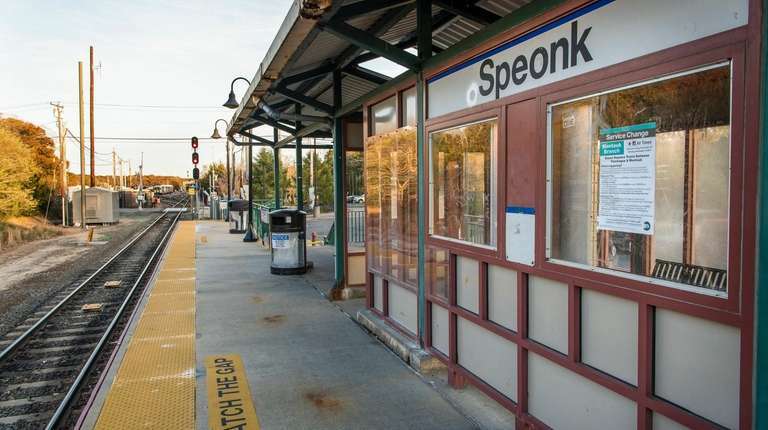 A new South Fork commuter rail service will begin taking riders between Speonk and Montauk on weekdays beginning March 4. The service, dubbed the South Fork Commuter Connection, will run along the Montauk branch. Southampton and East Hampton towns plan to provide buses from the train stations to major workplaces. Long Island Rail Road fares and schedules have not been finalized, but officials are hoping the shuttle will be well-used and alleviate congestion in the traffic-clogged Hamptons. The service has been budgeted to run 260 days between March 2019 and March 2020, according to a fact sheet provided by East Hampton Town. It is not clear how much the service will cost riders, but East Hampton Town assistant planning director JoAnne Pahwul said in July a round-trip fare from Westhampton to Montauk could cost $8.50, which includes the shuttle ride. East Hampton and Southampton towns will provide shuttles between the train stations and workplaces using a $500,000 state grant. East Hampton Town on Thursday is expected to approve a contract with Hampton Hopper to provide two 25-passenger buses to transport riders to and from the stations, according to Joanne Pilgrim, executive assistant to the town supervisor. The company has also offered free summer shuttle service in Montauk through a separate state and town-funded program. Southampton Town officials have not decided on a service provider, said town director of transportation Thomas Neely, adding that more details will be announced during a Feb. 1 LIRR news conference at the Hampton Bays station. East Hampton town officials are expecting the train to arrive in East Hampton Village at 7:03 a.m. and 9 a.m., in Amagansett at 9:05 a.m. and in Montauk at 9:25 a.m. A westbound train is expected to depart Montauk at 2:48 p.m. and 4:50 p.m., Amagansett at 3:07 p.m. and 5:09 p.m. and East Hampton Village at 3:12 p.m. and 5:14 p.m.
Southampton Town and LIRR officials did not release the remaining expected train schedules. Neither town has finalized the shuttle route. Southampton is seeking feedback through a survey distributed by the Southampton Chamber of Commerce and the Southampton Business Alliance, Neely said. Many employers have complained that lengthy commutes make it difficult to hire and retain a workforce that largely lives outside the area due to high real estate prices, East Hampton supervisor Peter Van Scoyoc said during the Tuesday work session. The success of the program will depend on its convenience for riders, he said.